Published on 01. 03. 2017 in hype & linkage and pictorial arts. Closed Tags: Michelangelo, Michelangelo & Sebastiano, Sebastiano del Piombo, The National Gallery. 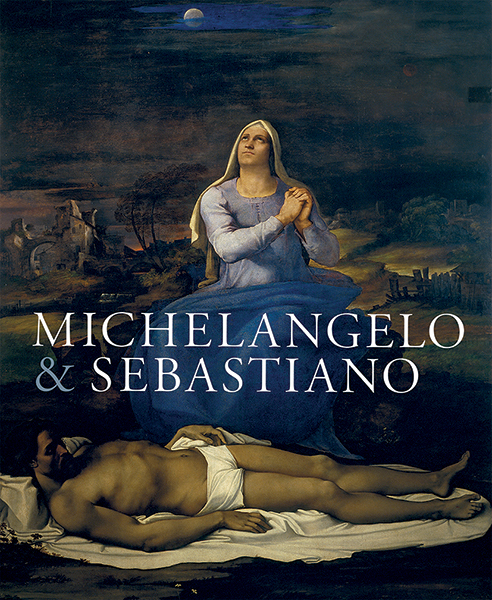 In a couple of weeks’ time, on 15 March, the exhibition Michelangelo & Sebastiano opens at the National Gallery (trailer above). As its curator, I’ve worked on it for the past two and a half years and of course look forward to people seeing it. Briefly, it aims to be a focused show, examining the extraordinary friendship and collaboration between Michelangelo (1475-1564) and the Venetian painter and expat to Rome Sebastiano Luciani, known to posterity as Sebastiano del Piombo (1485-1547). Michelangelo is not known for his ability or willingness to collaborate, in part due to his own efforts in his later years to play down any such activity, but also because he genuinely worked best alone, or with assistants who were essentially subservient to him. Remarkably, the partnership with Sebastiano, which started in late 1511 and lasted on-off, and mostly in long-distance form — Michelangelo in Florence and Sebastiano in Rome — between 1516 and 1534, was essentially a collaboration among equals. Yes, it was asymmetrical, as one would expect of any collaboration involving one of the greatest artists who ever lived, but each of the two men brought their unique ideas and sensibilities to their joint projects. Essentially, Michelangelo would provide Sebastiano with drawings which he would use in his paintings, but in many different ways and often quite independently of any oversight from Michelangelo. Sebastiano was hugely influenced by Michelangelo and spent most of his career assimilating his example, but he did so in his own, highly original fashion. At the time of their falling-out in 1536, apparently over the choice of medium (oil or fresco) that Michelangelo would use for the Sistine Last Judgment — the great project that had brought him back to Rome, Sebastiano had developed a monumental, uniquely still and intensely spiritual style of painting that would prove immensely influential of painters of the following generations, not just in Rome but across Europe, from Caravaggio to Poussin and even Zurbarán. Anyway, all this and much more — including the dramatic historical context, one of upheaval, war, schism and theological and artistic rejuvenation — will be explored in the exhibition and in its catalogue, which is shipping from its distributor as of yesterday. Edited by me, it features scholarship by, among others, Costanza Barbieri, Paul Joannides, Piers Baker-Bates, Silvia Danesi Squarzina and Timothy Verdon. Read more (and purchase) here.